People often think that the Mayas only existed in the past. Today there are over seven million Maya people, most of whom live in Central America and southern Mexico. 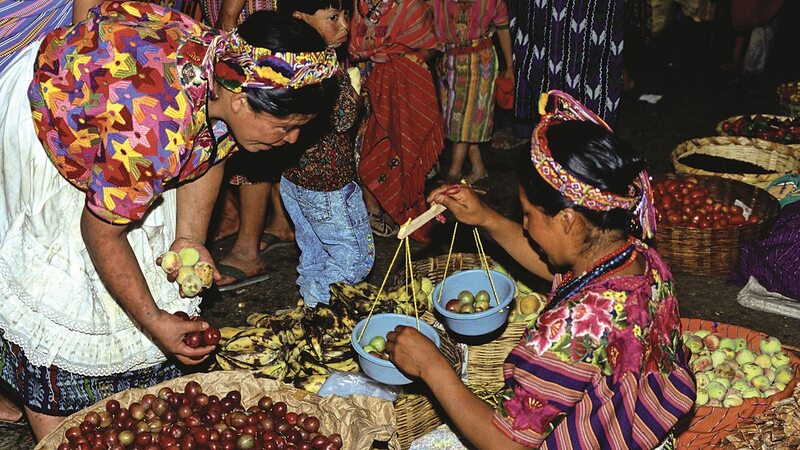 Even though the Spanish conquest resulted in centuries of cruelty towards the Maya people, causing their population to decline, many Maya people still maintain some of their traditions. In fact, there are currently 31 different Mayan languages being spoken today. However, these languages are becoming endangered because of discrimination. Sometimes people won’t even be offered jobs if they speak a Mayan language! To keep these languages alive, some people write literature in Mayan languages as well as Spanish, so that their culture will not die out forever. 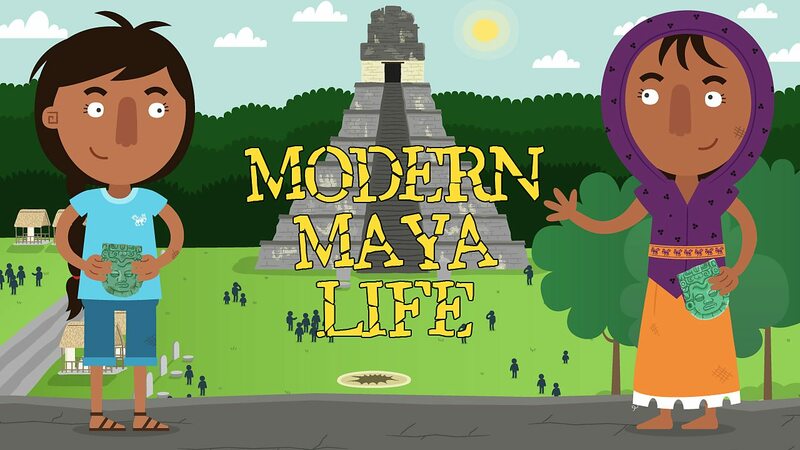 Explore modern Maya life by clicking through the images. 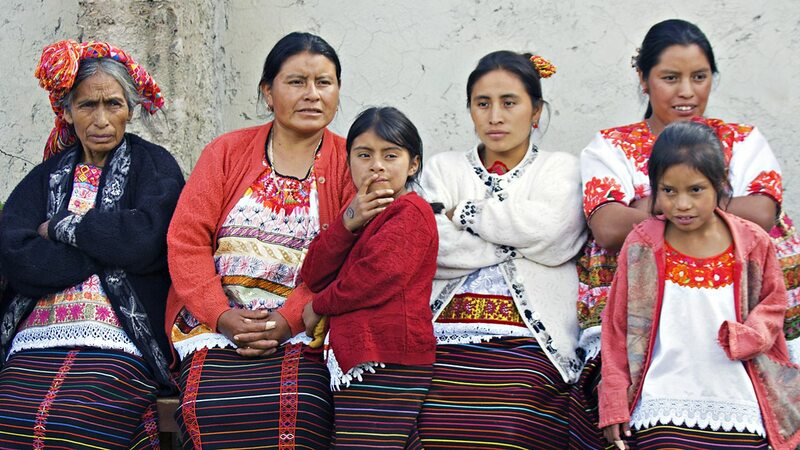 Here we meet three generations of Maya women from the Ixil community, who live in the Quiché region of Guatemala. 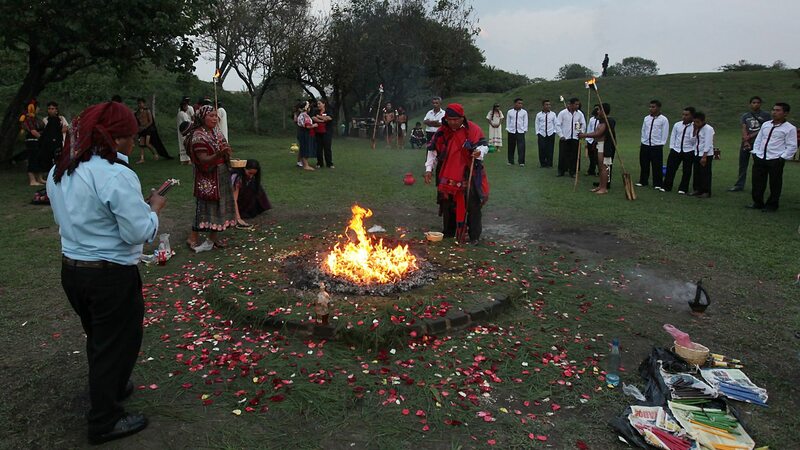 This image shows a Maya elder leading a spiritual ceremony. As part of the ceremony, people burn candles to give thanks, remember the dead and pray for good fortune. Trade is still very important for the Mayas. Here we see people trading goods at a local market in Guatemala. 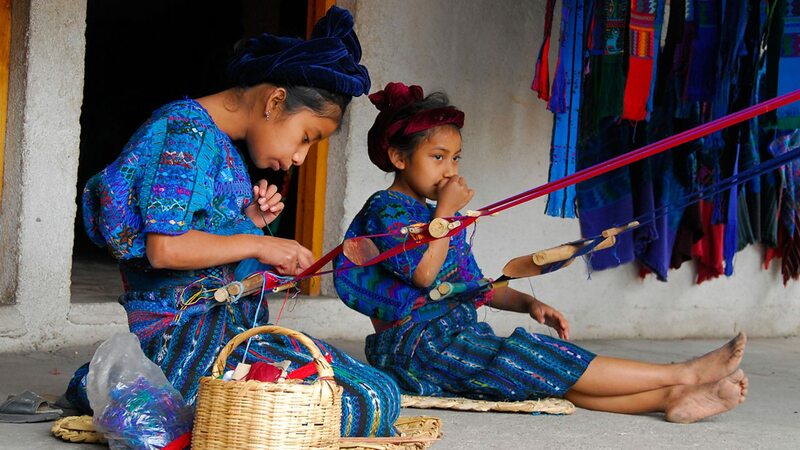 These Maya children from Lake Atitlan in Guatemala are weaving traditional textiles. 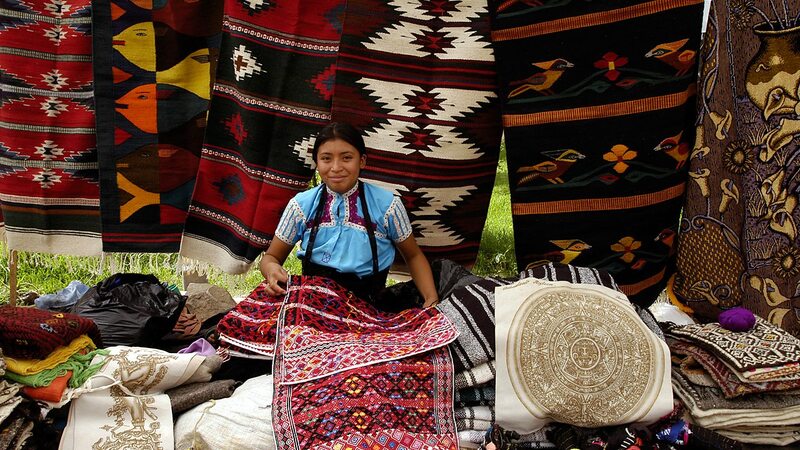 Here we meet a young Maya woman who is selling traditional goods at a market in Chiapas, Mexico. 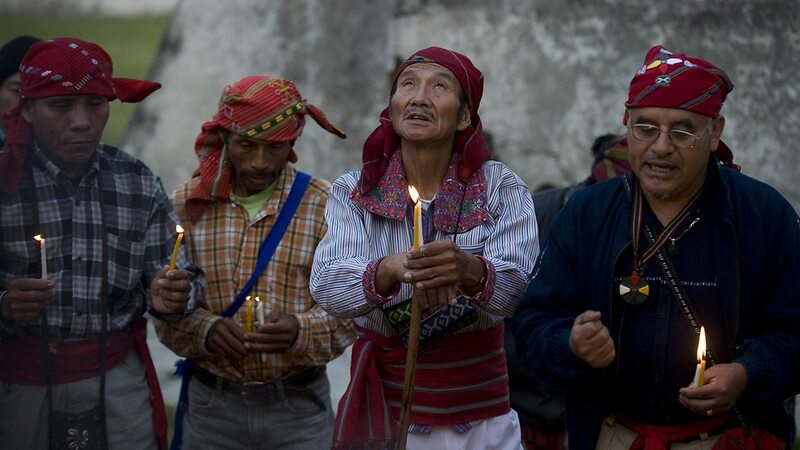 Four Maya priests take part in a ceremony in Huehuetenango, Guatemala. 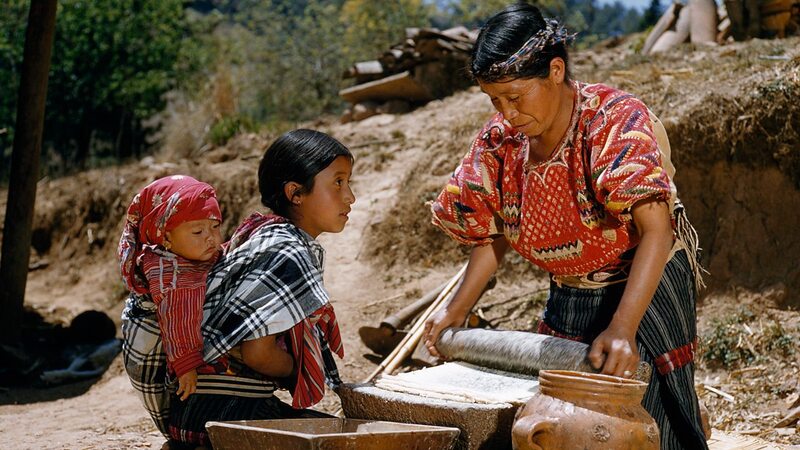 This Maya woman is grinding corn on a “metate” to make tortillas, while her daughter helps in the process.